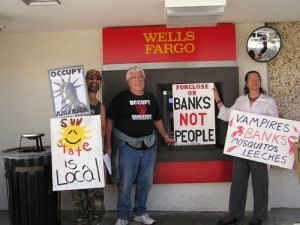 Around the country, the spirit of the Occupy movement has been refueled as Occupy Wall Street celebrated its one-year anniversary in September. 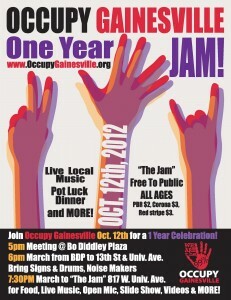 Locally, Occupy Gainesville will be celebrating its one-year on Friday, Oct. 12, from 5p.m. on at the Bo Diddley Plaza in Downtown Gainesville. 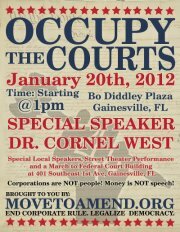 The event kicks off at 5p.m. 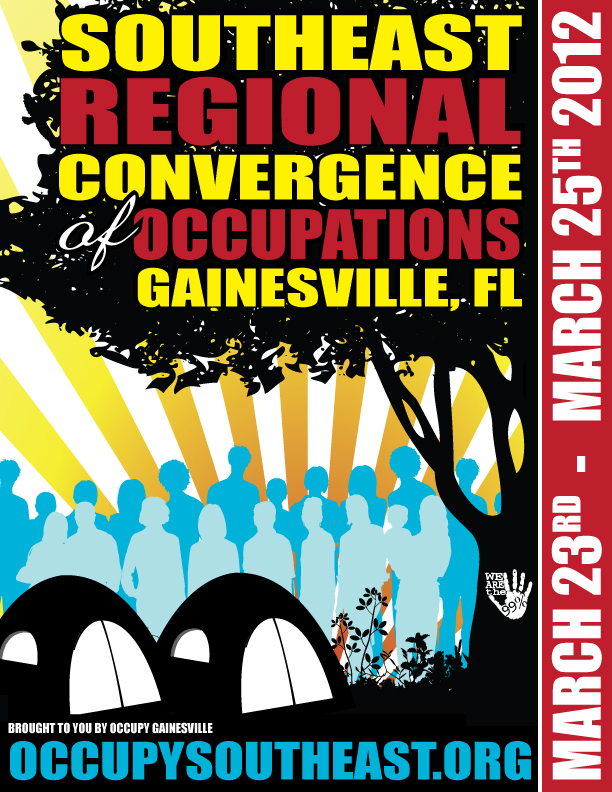 with fellowship, fun and lots of chalk; then at 6p.m., Occupy Gainesville will march to the corner of University Avenue and NW 13th Street (bring your signs, drums and assorted noisemakers! 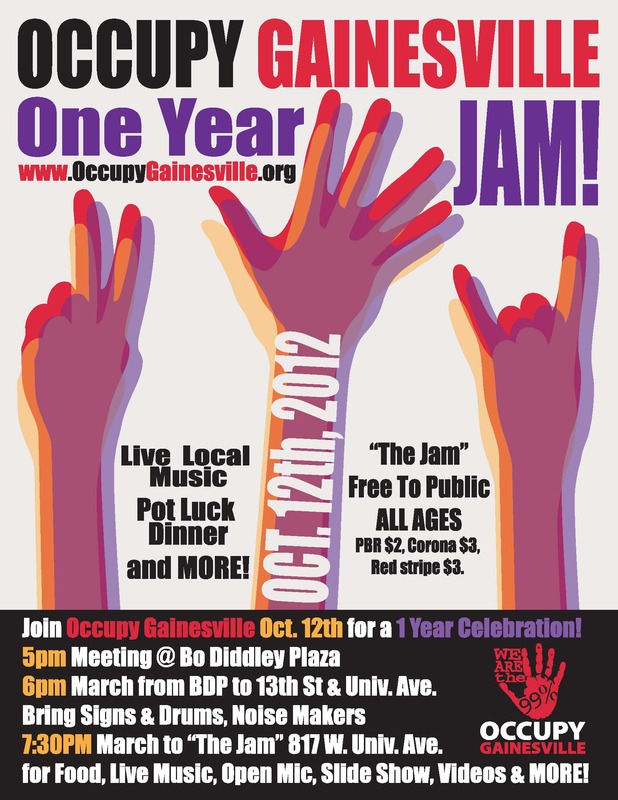 ); then finally at 7:30p.m., the group will march down to the Jam (817 W. University Ave.) for food, music, open mic and a year-in-review presentation. Meanwhile, later this month, on Oct. 30, thirty Occupy Gainesville members will be called up for an en banc hearing on their Motions to Dismiss before Judges Thomas Jaworski, David Krieder and Walter Green in Courtroom 1A of the Alachua County Criminal Justice Center.